AI Video Creator (by Video Titan) Launches Tues 16th October. Earn 75% Commissions on ClickBank – with $5,000 Cash Prizes. If you have a video/affiliate/YouTube/JVZoo/Ecom/general IM list, sign up now! * Huge JV cash contests – with over $5,000 up for grabs! And $200+ per sale. 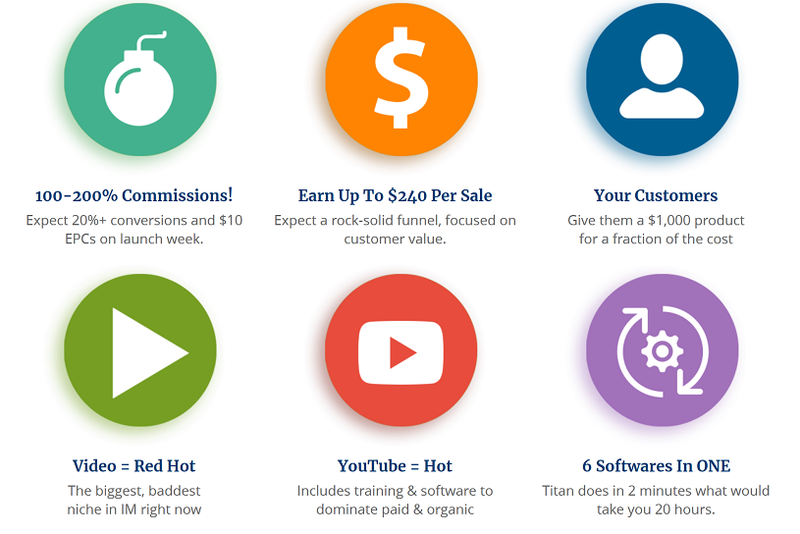 Earn 75% commissions! * Massive tie-in with Video, YouTube, JVZoo, Affiliate marketing, SEO & ClickBank… as well as video creation! * Rock-solid copy, backed by insane proof, fresh new angles… plus mind-blowing products.